Macaroni penguins are large for a bird species. Adults measure 20 to 28 inches in length and weigh 11 to 13 lbs. In contrast to flying birds, macaroni penguins have solid bones as opposed to hollow bones. The adaptation of greater bone weight allows for deeper and longer underwater dives, says Animal Diversity Web. Other adaptations that increase swimming ability include webbed feet and a tail that improves steering. 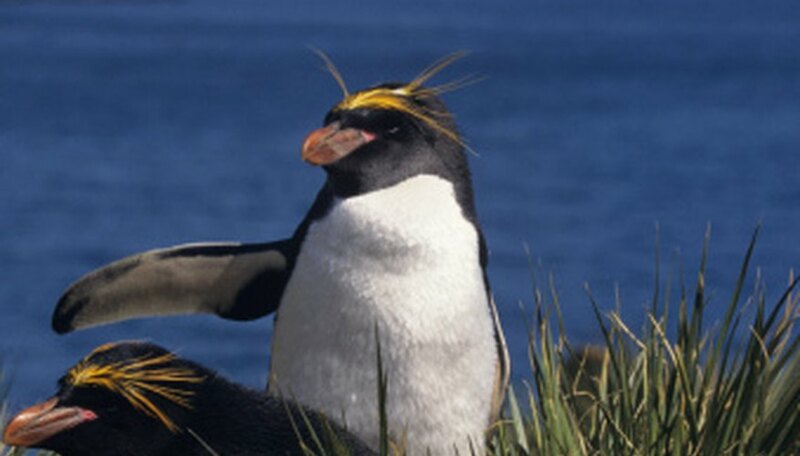 While macaroni penguins have poor vision on land, their eyes are adapted for excellent underwater vision. 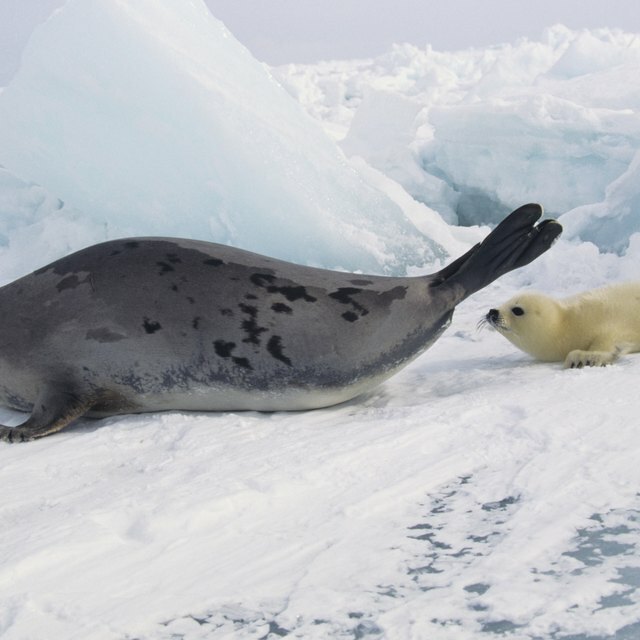 This helps them avoid killer whales and leopard seals, the macaroni penguin's main predators. The macaroni penguin has several adaptations for communication. The bird communicates using behaviors such as head moving and flipper waving, gesturing, bowing and preening, reports Animal Diversity Web. Individual vocalizations are another method of communication. Fielder, Dan. "Adaptations of a Macaroni Penguin." Sciencing, https://sciencing.com/adaptations-macaroni-penguin-8680731.html. 24 April 2017.